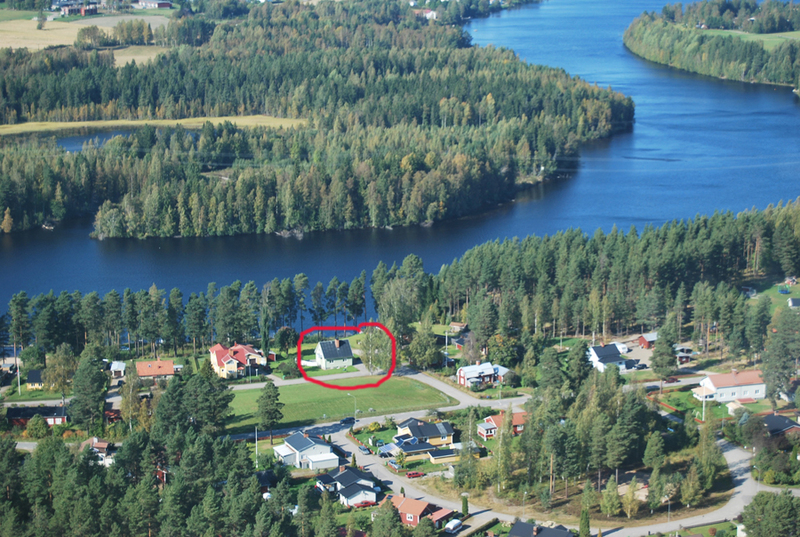 staying in our residence which is located just near Ljusnan, a river which begins by both Kyrksjön and Orsjön. 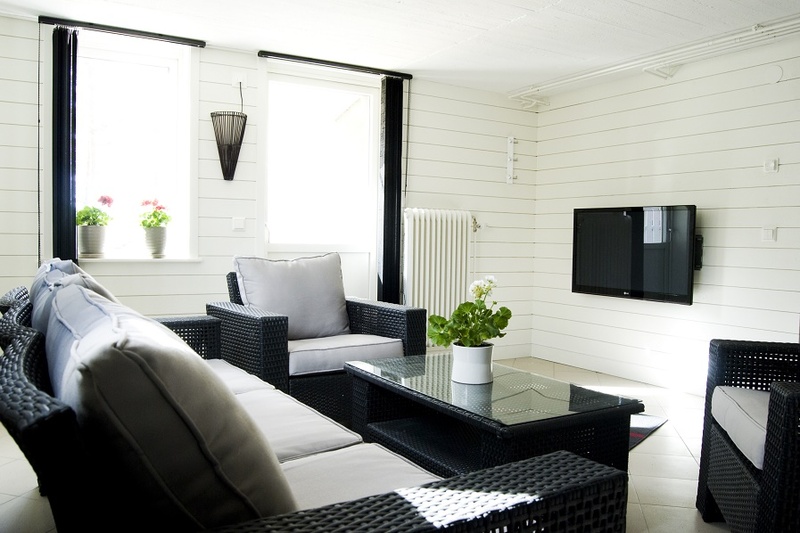 relax area with sauna, lounge, TV and a large outdoor terrace where you can look out at the river and plan your next day of fishing. both of which offer additional possibilities for a successful week of fishing. 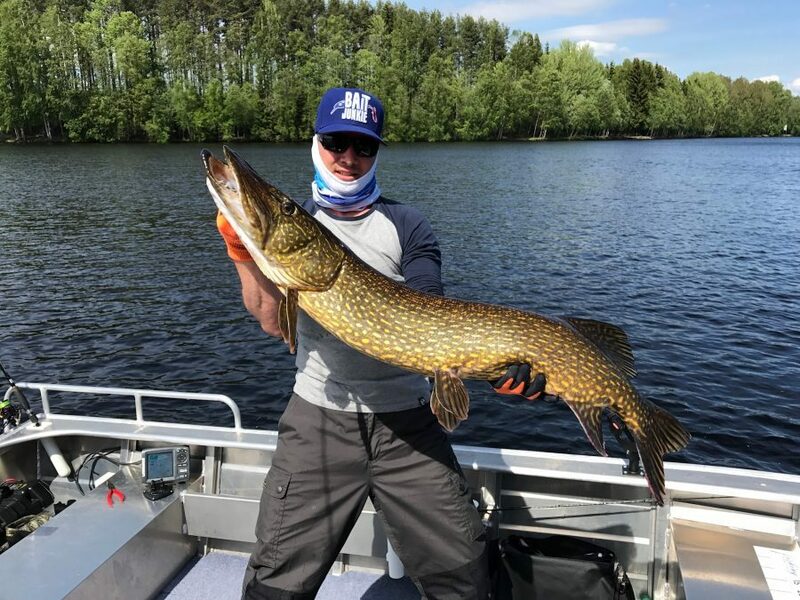 If you book a tour with our fishing guide, he will bring you to the very best hidden gems and will also show you techniques and baits for fishing pike, bass and pike perch. 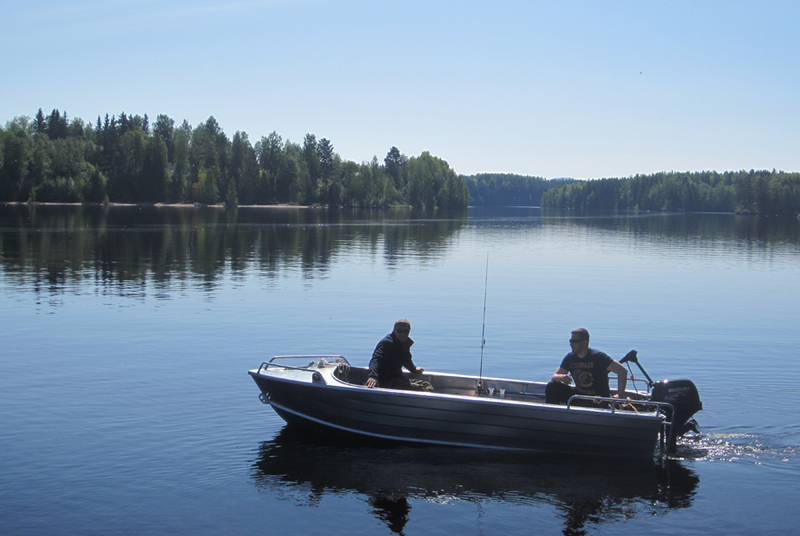 Vi offer our guests 4 new aluminium boats of which earlier guests have given much praise. The boats are 4,5 metres long and 1,7 metres wide. 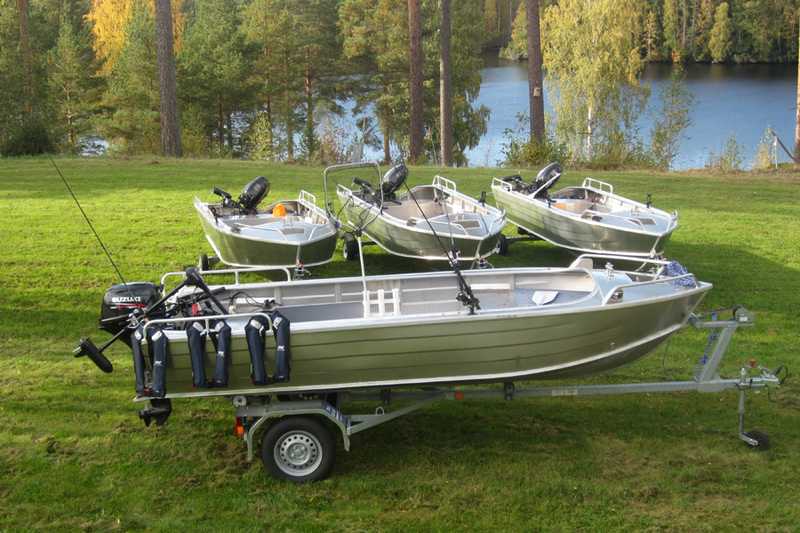 These boats have motor Zuzuki 20hp 4 pace, ecoload lowrance elite-5, electric engines motor guide R3 55IBS/12V, 10am battery, paddle and anchor. 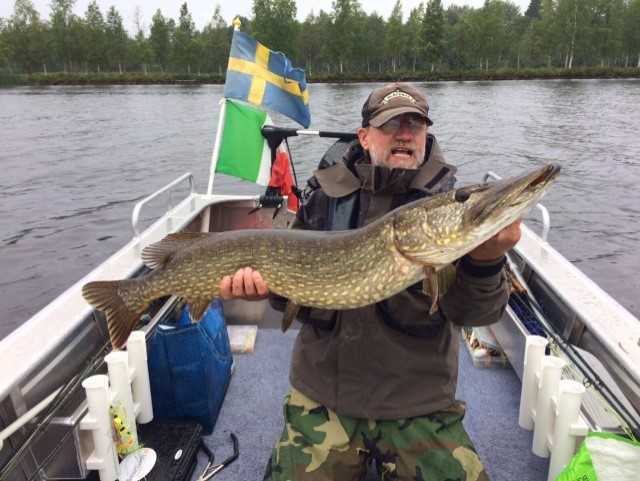 Villa Solsidan is located in an area which offers lots of different activities apart from fishing – a benefit which gives the whole family a possibility to join and enjoy what Hälsingland has to offer.